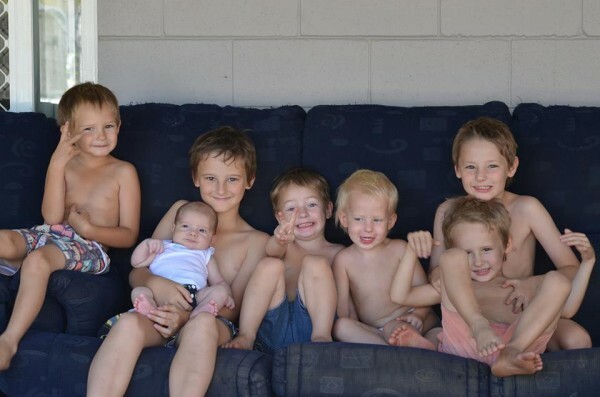 The Aussie mum with 7 boys... and one more on the way! 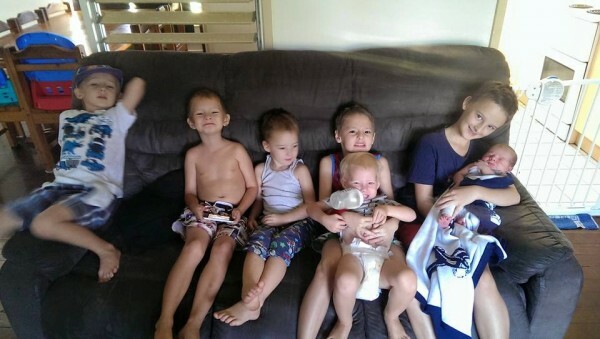 The Aussie mum with 7 boys… and one more on the way! Muddy clothes. Wet bathroom floors. Fart jokes. 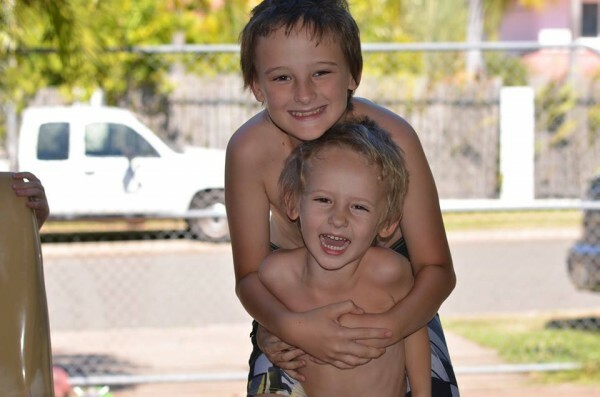 Mums of boys know these perks of parenting all too well. But no mum is quite as skilled in the fine art of raising boys as Kirsty-Anne Tracey-Hayward. She has seven sons, aged 11 to one and is expecting another bouncing baby boy at the end of the year. To say Kirsty-Anne is busy is an understatement. In between packing lunches, doing the school drop off, making dinners, sorting laundry and tending to the needs of seven busy boys, Kirsty-Anne is also 24 weeks pregnant. 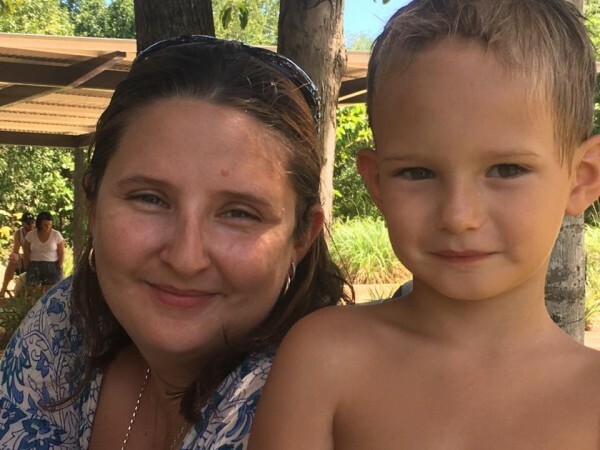 It’s a familiar feeling for Kirsty-Anne, 30, who in addition to her soon-to-be tribe of eight, has suffered five heartbreaking miscarriages along the way. 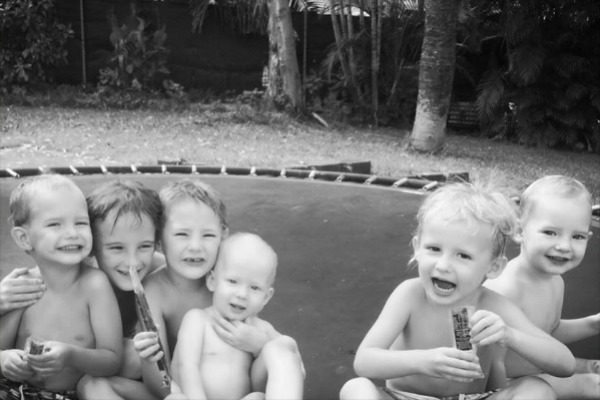 Still, Kirsty-Anne and her mechanic partner Bheau Randell know just how lucky they are to have seven healthy boys. 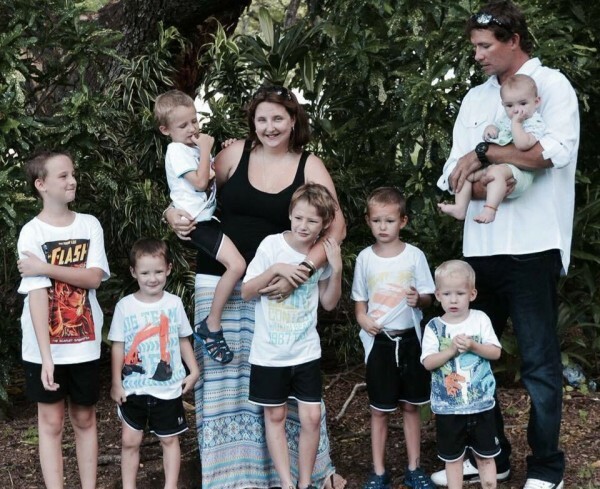 All their kids came from single pregnancies – no twins or triplets here. There’s Tristan, 11, Daemon, 9, Blaire, 6, Chase, 5, Logan, 4, Zander, 3 and Elijah, who just turned one. And while seven is heaven, eight will be great and the family are more than excited to complete their clan in December. Family is everything to this doting mum. And keeping seven boys busy is a must. As well as attending youth group, the boys enjoy swimming, fishing, trips to the park and being outdoors in the sun. “They have their moments. Some days they are best friends and other days they fight. They go from saying, ‘Oh I love my family’ to ‘Oh I wish I was an only child’,” Kirsty-Anne says. But, as all large families know, having so many siblings means having friends for life, not just in childhood but in adulthood as well. 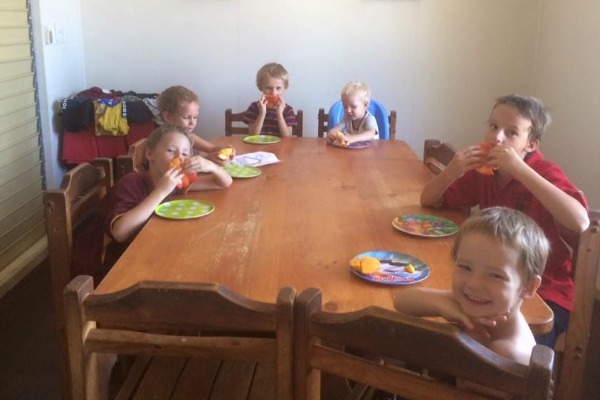 Kirsty-Anne, Bheau and the boys are part of the furniture in their community of Katherine in the Northern Territory, but many strangers who meet the family for the first time can’t believe there are seven children, let alone seven boys! “We’ve heard it all – don’t you own a TV?” Kirsty-Anne jokes. But, family is what matters and Kirsty-Anne credits her mum and dad, who raised five children, as well as her siblings, as her inspiration and support. But, as anyone with boys know, boys will be boys. Yes, Kirsty-Anne admits, it gets messy. It gets loud. It get crazy. But she has it all under control. The busy mum opts for cloth nappies for the boys (and for the eighth one) and does at least two loads of washing every single day. “You get yourself into a bit of a routine,” Kirsty-Anne explains. The boys have a toy room for all of their toys and they have three bedrooms for the seven boys to share (the eldest has his own room, two are in another room and there are four in the final room). And, incredibly, all seven boys sleep in their own beds… the entire night! But perhaps the most important thing when running a busy household of boys is following the same routine. “”It’s too much pressure on ourselves to have set times, too much for us and too much for the kids. But we do have a sequence – dinner, a family walk, showers, books, beds – as long as it goes in that order, it’s fine,” Kirsty-Anne says. And what a beautiful legacy they are! 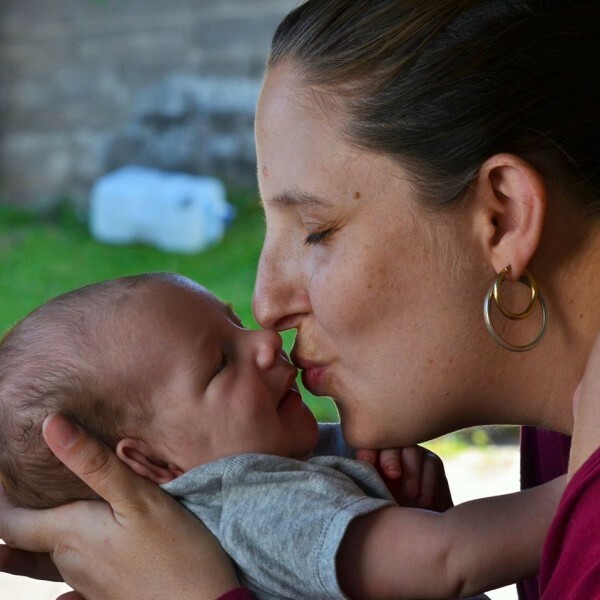 Congratulations to Kirsty-Anne, Bheau and the boys and thanks for sharing your story with Babyology. Be sure to check out some of our other featured families including the Canadian family with quadruplets, the Aussie family with quintuplets and the American family with five kids seven months apart.